Here at Dr. Haims's office, we strive to give you the best experience possible. Combined with our professional expertise and welcoming atmosphere, your cosmetic dentist in West Hartford and his friendly staff work together to make your time here worthwhile and improve your oral and dental health. Read more about our team below and if you have any questions, don't hesitate to call our office at (860) 521-6767. Dr. MARK B. HAIMS, D.M.D.- a West Hartford local, graduated from the University of Connecticut School of Dental Medicine in 1984. Dentistry provides the doctor not only an outlet for his artistic abilities, but also a way to develop personalized patient-based care. To that end the doctor was a clinical instructor at UConn’s Dental School in the Advanced General Dentistry program( for 18 years) – staying on dentistry’s cutting edge in technology and esthetics. 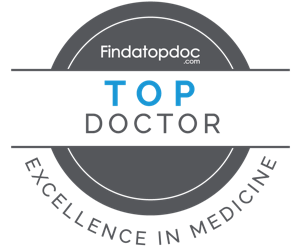 You will find the doctor a very attentive listener and eager to find treatment solutions that are tailored just for you. Dr Haims is a member of the Hartford Dental Society, the Connecticut State Dental Society, the American Dental Society and the Alpha Omega Dental Alumni chapter-serving in numerous posts including past president. Dr Haims lives in West Hartford with his wife Erica and has three children. Her warm and friendly smile will greet you and make you feel at home. She too had started as a dental assistant and has been in the dental field for many years. From making sure you are seen in a timely manner and smoothing over those ever looming insurance company issues, you will find working with Joanne a pleasure. Mira has been in dentistry for over 20 years- starting as a dental assistant in a pediatric practice. She received her RDH degree from the University of Bridgeport and is an expanded duty hygienist. An extremely talented clinician- we are quite fortunate to have her on staff - for her caring and thoughtful attention. Shauna has been a Certified Dental Assistant since 2015. She enjoys working with our latest CAD/Cam technology- staying up to date. Your comfort is her number one priority!